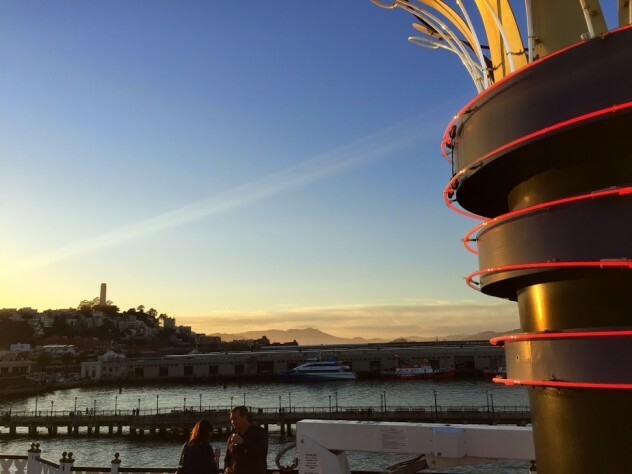 One hundred and sixty-five readers love this post. Another Whiskies of the World (WoW) on the San Francisco Belle docked in the Bay, held on March 28 (last year and years prior here). 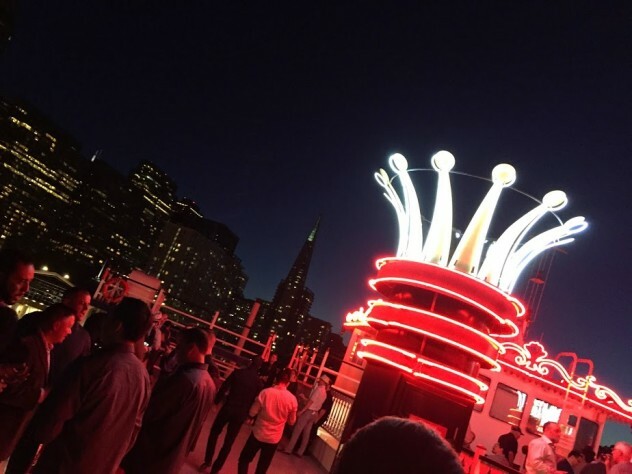 Although it is one of the big whisk(e)y events in the country (also in San Jose, Atlanta and Austin), it remains more approachable than bigger whisk(e)y events, more like a big party than a corporate tasting, with the added bonus of cigars on the deck, including a cigar and whiskies class. This year’s weather was stunning. Lingering over a dram with a cigar on the deck as the sun set was sheer magic. I did miss the rousing Bushmills Pipe & Drum Band walking through the festivities this year, but the spectacular weather and setting stole the show. While there weren’t too many ultra-rare pours during VIP hour this year, there was no shortage of worthwhile pours from the hundreds on offer. 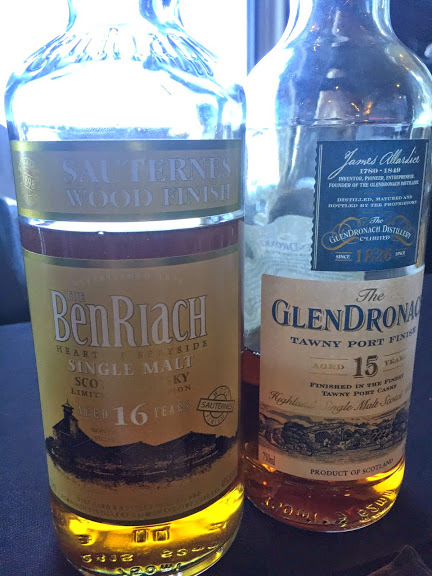 While I’ve tasted through the BenRiach line a number of times over recent years (and loved the 25 year Authenticus Scotch at last year’s Whiskyfest), the special edition BenRiach 16 Year Old Sauternes Finish, with its nutty, almond and oak-laced profile was a beauty. 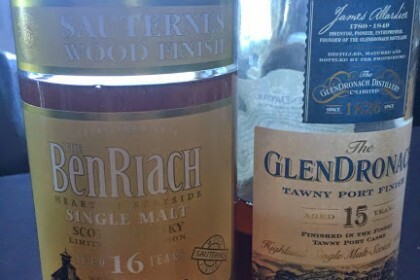 So was the GlenDronach 15 Year Old Tawny Port Cask Finish with its lush berry and earth notes. 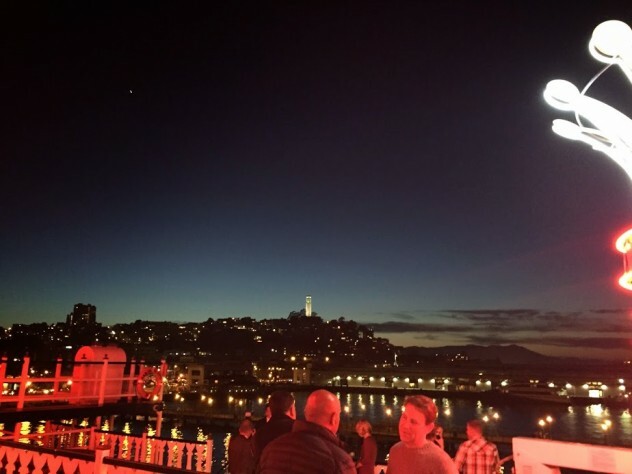 Both were the most ideal cigar pairings of the night, sipped during sunset on the top deck of the sternwheeler boat. I told you about Westland Distillery in Seattle early last year, arguably the best single malt whiskey (reminiscent of Scotch) being made in the US right now. 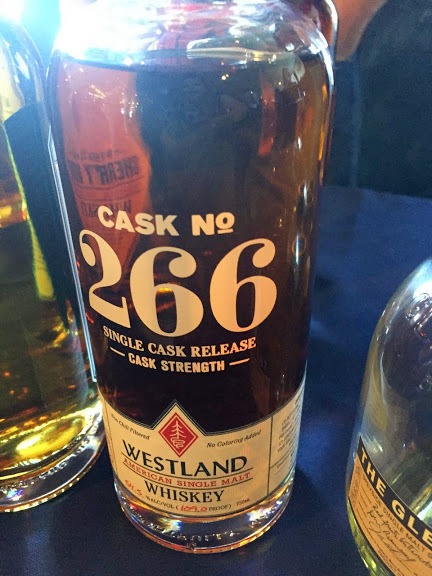 I’ve tried a number of their single cask bottlings over the last year or so, and this year’s WoW pour included a robust Cask No. 266, redolent of earthy dark chocolate and orange. It was another striking cigar pairing. France has been getting into the whisky game in recent years, with the first Breton whisky distillery making an appearance this year at WoW. Armorik is located on the northern coast of Brittany in France, founded over 100 years ago, producing liqueurs since 1990, with the first whiskies being laid down to age in 1983. While their first single malt launched in Brittany in 1998, it was released on a wider scale in 2012. Using French barley (non-GMO), employing double distillation in copper pot stills and aging in ex-bourbon and Oloroso sherry casks, the humidity and cool coastal climate of the region recalls Scotland. The Classic Armorik Single Malt is light and young but quite pleasing with apple, bready notes and a whisper of peat/smoke. While the Double Maturation Armorik was my least favorite of the three poured, the sherry finish Armorik was my favorite, with the most character and robustness, though still smooth at 46% ABV. 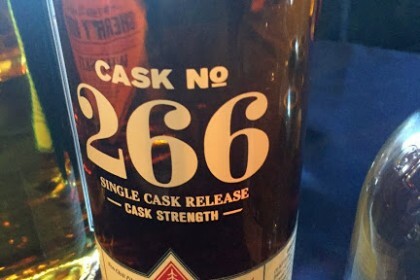 Last year, I mentioned Speyburn 25 year Scotch, while this year, Speyburn Clan Cask was poured. It is a specially selected, limited edition Scotch that has been aging since 1975 in Spanish sherry casks from Pedro Domecq, the oldest Bodega in Jerez. It’s rich with toffee, spices and fruit cake notes, while I appreciated dry dark chocolate notes and the peppery finish.